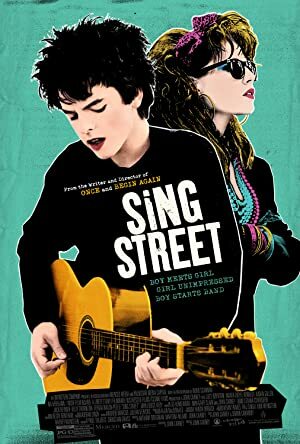 Sing Street (2016) – What's New on Netflix Canada Today! This is the beginning of the eighties, and everybody is moving to the beat of the Pop music, as the brand-new concept of the music video appears on television for the first time. However, in Dublin, Conor–a teenager with a sensitive heart–is trying to deal with a tense family relationship, reconnect with his older brother, while dealing with the hostile environment in his new public school. And then, one day, he sees her. Tall, with long chestnut hair, a buttery complexion, and big, dark eyes; an enigmatically beautiful girl standing in front of his school’s gate, indolently observing people passing by. But, who is she, and how could a boy ever get noticed by such a distant girl? That’s easy. He would form a band. Surprisingly, with every lyric Conor writes, the gap narrows, and with every song he plays, her heart fills with affection. In the end, before a sea of opportunities lying ahead of them, what will the future hold for a brave love like this?